A Timeless Family Adventure At John Day Fossil Beds! Get Ready For A Timeless Family Adventure At John Day Fossil Beds! 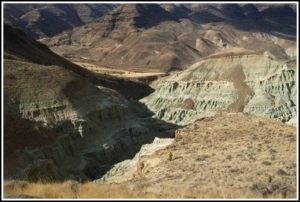 If you are looking to spend a fun day with your family, then out in Eastern Oregon lays an adventurous place waiting for you – the John Day Fossil Beds. With wide open skies and more sun per year than on the West Coast of the state, this can be a perfect getaway for someone looking to have a unique and historical experience with their family. 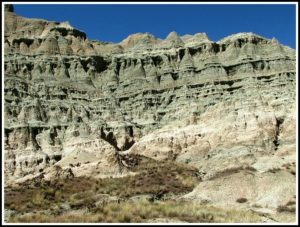 What are the John Day Fossil Beds? A national monument which is taken care of by the National Park Service, John Day Fossil Beds is located within the John Day river basin. It is popular for the well-preserved layers of fossils (plants and mammals from the late Eocene to late Miocene era). The monument is home to more than 80 types of soil and wide range of flora and fauna. Don’t be surprised to see migratory birds, mammals like raccoons and coyotes running around during your visit to the monument. How to reach John Day? 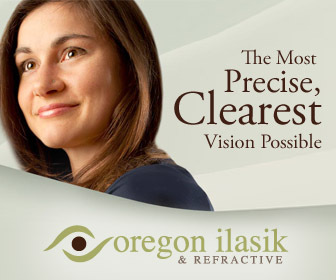 There you go – a whole new universe awaits you at the John Day Fossil Beds! 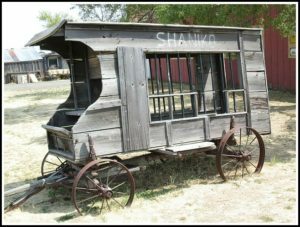 Apart from sightseeing throughout the journey, don’t forget to take a stopover at Shaniko – the mystic ghost town. Abandoned jailhouses, schoolhouses and more than 40 other buildings with an eerie feeling await there for you to have some adventurous moments. Who knows you might stumble upon something unexpected? After an excruciating journey of around 16 miles on the Highway 218, you will enter into one of the first destinations – The Clarno Unit of the John Day Fossil Beds. Getting there will require you to walk three unshaded rocky trails – a total of 1.25 miles. But once you will be there, the view will be worth every step you would have taken! 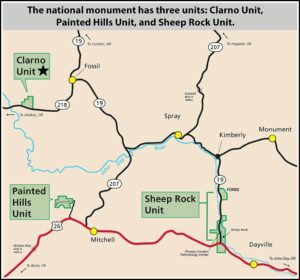 80 more miles and you will reach the Sheep Rock Unit, which houses the Thomas Condon Paleontology Museum. 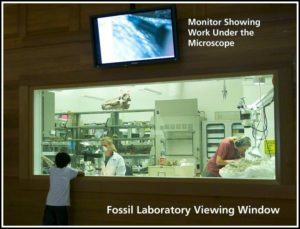 Check out everything about fossil types; explore the skeletons of animals dating 7 million years back and lot more at the fossil laboratory. You can go up to the Blue Basin area and the Island in Time Trail to further explore more about the mammal fossils. One of the most beautiful spots to visit during your to this region is The Painted Hills. The Yellow, Red and Orange hills are nothing short from a scene from a Hollywood movie. Being there you could easily imagine how the view on Mars planet would be like. There is a lot more waiting for you to explore at the John Day Fossil Beds National Monument. If you want to take on a journey back in time and have an exciting outing with your family or friends, then pack your bags and plan your itineraries in advance.